This past weekend's in-law visit was proof that my eyes were bigger than my stomach (and much bigger than my wallet). This puts us in an exciting race against time to use up both the leftovers from this weekend's cooking along with the purchased items that we never got around to using. Everything that could be frozen has been frozen. Now it's just a matter of using up the remainders before they spoil. That means a series of uninspired (or peculiarly inspired) dishes are on the way. 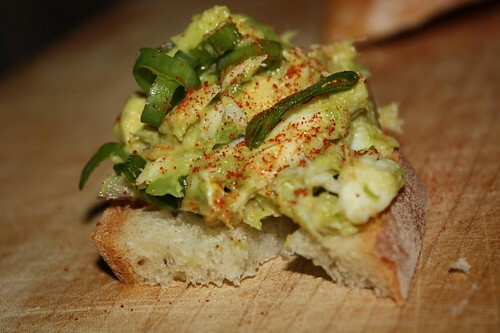 I made a quick spread with the remaining grilled halibut and avocado which I added a little red onion, green onion, cayenne, paprika, and a drop of olive oil to. I served it up with some toasted rosemary bread leftover from our weekend's many lamb courses. The red leaf lettuce (which I cleaned in anticipation of our guests but which we did not eat a single leaf of) was a top priority. 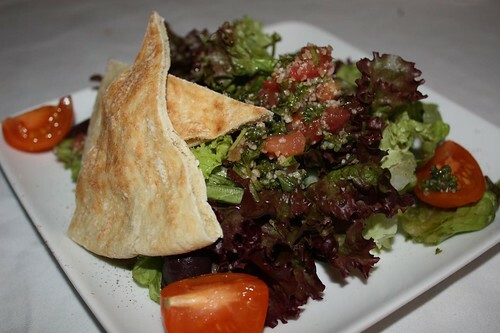 I paired that up with some lemon, olive oil, pita and tabouli for this salad course. 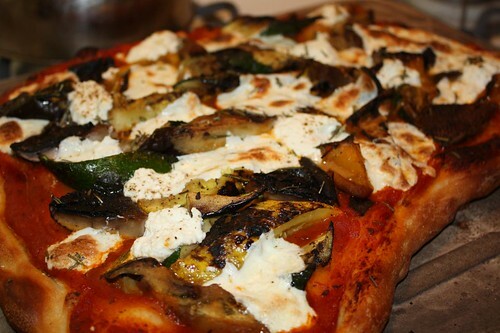 I used up all the remaining grilled vegetables (except for one piece I saved for tomorrow) to make this pizza with mozzarella, ricotta, and fresh rosemary. 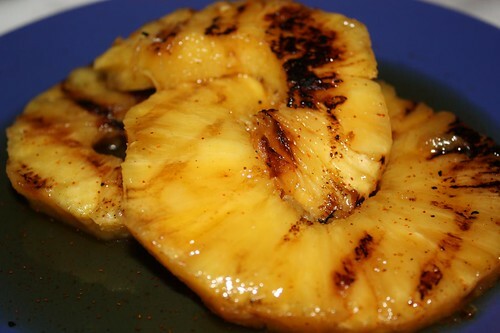 For dessert: grilled pineapple with maple syrup and cayenne pepper. A nice vaguely healthy dessert. If it wasn't followed by heaping servings of Easter candy. Somewhat healthy eating may have to wait for a resurgence until May.